I like to think of this book as wonderful for a lot of reasons: STEM connections (five senses), diversity, music & movement, and just plain fun. I had a very large crowd today and they really got up to show me how they had the rhythm. As I read this book, I also like to talk about different ways that the children are moving and try to vary my movements. I want everyone to know that it’s okay to move differently from each other! Both The More We Get Together and Everybody’s Jumping have instructions in the lyrics which are helpful for caregivers to follow if they get stuck for ideas on how to move. I thought that the familiar The More We Get Together was a great opening song for storytime since it gave the grown-ups immediate buy-in. Everybody’s Jumping is always a kiddo favorite because of its high, high energy. Afterwards, I played Heartbeat as a slower song before transitioning into our prop songs. I used a new song — The Shaker Song — to start the prop time this class. This song probably would have worked better as a second song, since the kids were too involved with shaking to listen to the directions of the song. I’ll have to remember that for next time. And then, an old favorite made its debut for the first time this summer: I Know a Chicken. This is my favorite way to have kids practice self-regulation! I cannot say enough wonderful things about Cabrera’s singing books. I find that they always get a crowd involved and that the magical benefits of choral singing with a large group get everyone to pay attention. This book, in particular, works for Shake, Shimmy because it gets the kiddos ready to start moving with me. All of my instructional/free dance songs this week were new! I like trying out new music to keep this program fresh and exciting. “Rise & Rhyme” is off one of our new CDs in the library, I Like Me!. This is a great introduction song for a program because it focuses on getting ready and stretching. “Clap Your Hands” is a traditional song that asks for listeners to clap along, etc., but it ALSO has a chorus that I used as a free dance opportunity. “Lizzie Spins” is a new song, but a favorite Shake, Shimmy artist Joanie Leeds. This song talks about different friends and what they like to do (dance, spin, jump, etc.). It was pretty much adored by everyone in the room. And then, I capped off this portion of the program with Jim Gill’s “The Tempo Marches On”. I challenged the kids to start as slow as they could because the song would keep getting faster as we went! I love watching them during that slow portion because they’re so proud at how slow they can go. I had one young friend who kept telling me that they weren’t even moving, they were going that slow. Afterwards, it was time for wrist ribbons. We practiced our opposites with “Up & Down”, which does run a little bit long. I try really hard to find songs that are under 2 minutes, 30 seconds, but it’s also good to stretch their attention spans’ with a longer song from time to time. And finally, “All My Colors” by Ralph Covert. I am still heartbroken that this CD is out of print and am eternally grateful that I have a digital copy. The kids took their wrist ribbons and found a friend to make a rainbow with to conclude today’s program. Another favorite of my crowd. This crowd really got into mixing up the colors and the kiddos were pros at telling me what colors we were making! This title is a great way to incorporate STEM ideas (color mixing) into your preschool and toddler events/storytimes. Also, it goes great with our prop, too. Since we’ve had a few weeks of Shake, Shimmy to re-acclimate to moving together, I started today’s class off with a free dance! I absolutely adore the energy of the Fresh Beat Band and I really appreciate that they have diversity in their group (unlike many of the other TV show adult singing groups), so “Music (Keeps Me Movin’)” was an awesome choice. Then, a Shake, Shimmy song that hasn’t been used in quite some time: Ralph Covert’s “Wiggle Your Lah-de-Dah”. This song really works best for preschool, so I probably should have held off until the summer when my crowd ages up. “Dance With Me” is one of my favorite ‘trick’ songs. I always introduce the song by having my friends find the best grown-up to dance with. I remind caregivers that the kids *like* dancing with me, but they *love* it when their familiar grown-ups join the group. And then it was time for a new Shake, Shimmy song called “Beep Beep Beep” by Dan Vapid. I told the kids today was a special day that they got to drive around the room. And believe me, they took off! 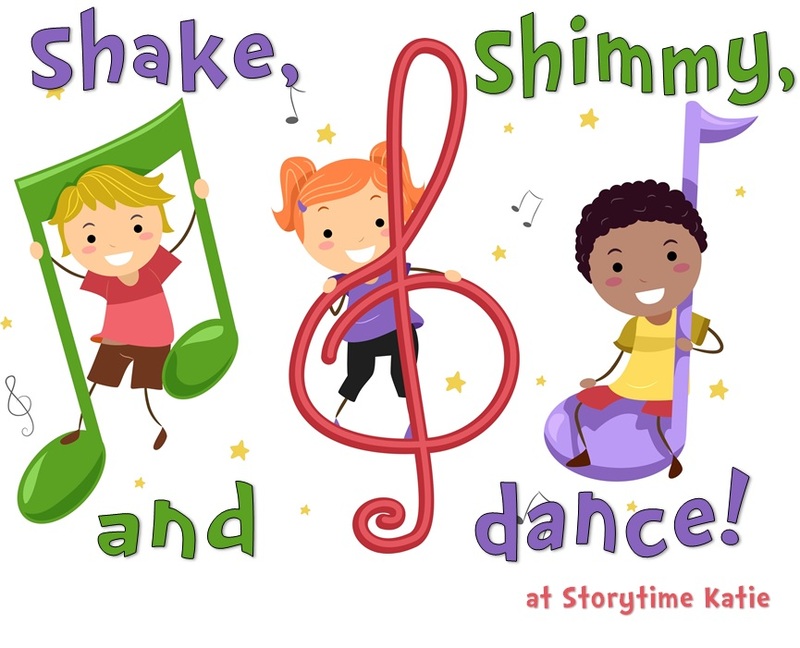 This is a classic Shake, Shimmy, & Dance book that always manages to get my preschools and toddlers up and engaged. I think that the silliness and pretending aspects of the book are absolutely fantastic and that preschoolers in particular love the twist ending. One of two May editions of Shake, Shimmy, & Dance! Since we were on hiatus in both February and March, I scheduled two events to take place in May. And for the first event, I decided to try out our stretchy bands. We purchased bands (two XL Latex-free bands) last summer and one of my co-workers has used them in outreach events to much success. I used the stretchy bands in our Romp & Rhyme program (more info on that program coming soon! ), and also had great feedback. It was time to try it as a Shake, Shimmy prop. To start our day though, I picked another classic Jim Gill song, “Can’t Wait to Celebrate” that gave me an opportunity to pass along a great caregiver tip about using this song as a game to practice patience and waiting. I continue with “Get Your Move On” by Mr. Jon & Friends, which also has directions in the lyrics. For “It’s a Doo Da Day/You Are My Sunshine”, I encourage the kids to find a grown-up to dance with for a free dance. “Roller Coaster” involved me leading a group of kiddos around in a circle as we lifted our arms up during the “wheeee!” lyric of the song. And then it was time for the stretchy bands! Since we have two of these bands, I asked one be a less active band (aka babies and young toddlers) and one be a more active band (older toddlers and preschoolers). My less active band sat down on the floor and my more active band had grown-ups on the floor, kiddos standing. My groups did a great job splitting up and using these new props! During “Rainbow”, I had the kids practice working together with the stretchy band and lifting the band up and down in the air as the song played. And for “Row, Row, Row Your Boat”, they pretended to row a boat while pulling the stretchy band back and forth. This was a fun activity, and I was happy that I had separated the groups as my preschoolers tended to pull much harder than my littles. Since I’m on the Caldecott committee, I won’t be writing about the book that I used in this storytime since it is eligible for the award. For our first Shake, Shimmy, & Dance after tax season (when our meeting room is taken over for tax help), this was an excellent turn-out. I wish I could talk about the book I read because it was an excellent introduction to the program. “Reach for the Sky” was a good warm-up song. I like that it’s instructional and gives the kids an idea on how to start moving. Often times (especially after a re-launch), I have to get everyone comfortable with moving around again and this song worked well. And I went straight into a classic Jim Gill with “Hands Are for Clapping” to keep that momentum going. I pulled out one last favorite: “The Airplane Song” before I segued into some new Shake, Shimmy material. “The Airplane Song” also gives directions in the lyrics and it is beloved by all of my patrons. “Go! Go! Go!” was our first new song today. It is by a classic Shake, Shimmy artist though! I had to work to get motions for each of the lyrics (For example, I asked the kids to find a friend to dance with during “just met a baby with an entourage”), but I thought the song went over really well. I love the music, because the “go, go, go” part is really easy to dance to. And then, I introduced Little Miss Ann and Amy D to my storytime audience, with “Shake & Sing”. They had shaker eggs for the song and really just enjoyed using their instruments with some great tunes. I also used “I Can Shake My Shaker Egg” and later had a kiddo come up to tell me that that song “sounds like HALLOWEEEEEEEEEEEEEN”. Needless to say, it was probably my favorite moment of the day. This is a very easy read for Shake, Shimmy. The longest page spread is the first and it sets up the story. Then, I lead the kids and caregivers in following along with the motions that Blanky does. This morning, I decided not to demonstrate what a “whoosh” or “choo-choo” looked like and instead I asked the kids first to show me. This led to a lot of great movement and really encouraged their creativity. After a little bit, I did demonstrate a motion for the friends who needed some guidance. I kicked this dreary January day off with “Take the Sun” which I used as a stretching song. We stretched up and down along with the lyrics and then I let the kids stretch however they wanted during the instrumental part and end of the song. This was a good choice to start with as everyone seemed pretty sleepy this morning. We then went straight into a free-dance song with “Get Up and Go Go”. This didn’t work as well as I wanted. My regulars were ready to go, but I could see that some of the newer friends needed more direction. I just worked with it and shouted out some suggestions and followed through with keeping up the energy. Then came “Rocketship Run” and “Jump Up (It’s a Good Day)”, both of which have actions in the lyrics. Both of which are classic Shake, Shimmy songs and beloved by my patrons. It was time for the activity scarves to come out with “Colors of You” and “Popcorn”. During “Colors of You”, I asked the kids to wave their scarves. I really love how that song can work two ways: with colored scarves and also in a social justice way. And for “Popcorn”, we bunched up our scarves and tossed them into the air. I saw lots and lots of giggles during this activity and will definitely repeat it, though I typically do popcorn themed songs with the parachute! This book is a favorite of mine for Shake, Shimmy, & Dance. It starts off slow, warming up the smaller body movements (eye blinking, nose sniffing, etc.) and then builds to moving a lot. Because of this, it’s a great book to get my patrons warmed up and ready to dance! I used a new song to kick-off today’s Shake, Shimmy program. “Clap Your Hands, Clap Your Hands” is a quieter song, but a great one for even the youngest of patrons to follow along with. During the school year, I see a majority of toddlers at Shake, Shimmy and I do adjust my playlists to best serve them. And who doesn’t love jumping and spinning? This led to my next two songs: “Jumping and Counting” and “Spin Around”. “Spin Around” is a new Shake, Shimmy song and I loved it. The kids had a great time spinning and dancing to it. (We danced during the verses and spun during the chorus.) But I think what made it the most fun was seeing the kids holding hands and spinning together or the grown-ups picking up their kids to spin them in the air. And as always, “Jumping and Counting” provided great interaction as we counted until we could jump again. My cool-down song was “Heartbeat” by Laura Doherty. Yes, this song has some large movements (dance, swim, jump), it also has quieter opportunities for kids to pause and listen to their heartbeats. It also incorporates science principles! And during the “when you love someone” chorus, I ask the kids to either hug themselves or to find a friend to hug. Some kids just choose to dance through it and that’s okay too! This month, I just used two shaker egg songs: “Milkshake” and “The Shimmie Shake”. The “Milkshake” song has instructions in the lyrics and I try to lead the kids into following them. This is a storytime favorite here, so many of the patrons know it well. And I love the music of “The Shimmie Shake”. I know that some people dislike the television music like The Wiggles or The Fresh Beat Band, but I think it’s great engaging music for kids. I had pulled another, newer book for Shake, Shimmy today and I just wasn’t feeling it. I will definitely use that book in the future, but reached for a tried and true favorite with If You’re Happy and You Know It. I know that it definitely lifted my spirits and I hope that it did for my families as well. As long-time readers know, I generally do not use the parachute during the school year because many of my preschool and kindergarten friends are not at Shake, Shimmy to help hold it up for our baby and toddler friends. But when Shaky, Shimmy coincides with a day off of school, it’s time to break out the parachute! Our first song was “When I Woke Up Today” which is off of Laurie Berkner’s new album. I love the positive energy of this song and I have to admit that I do get excited about Shake, Shimmy mornings and seeing my kiddos. Our next two songs: “Get Your Move On” and “Clap Your Hands” are tried and true Shake, Shimmy hits. Also, the kids stomped so loud that our security monitor came upstairs from the Adult Services department to see what was going on! On to the parachute songs! During “Take the Sun”, we raised the parachute up and down. I normally save the song for raising the parachute as my last song for the day, but decided to change things up. It definitely got the caregivers involved from the beginning! “Popcorn” included my traditional white crumpled paper as popcorn on the chute, but I asked the kids to go underneath and pop the popcorn up. This worked out so much better than just shaking the chute! “All You Need is Love” was our third parachute song (if you take the parachute out, make it worthwhile!). I had caregivers place the chute on the ground and passed out foam hearts. The kids walked on top of the chute and passed around hearts to each other. If you ever need a life-affirming moment, I highly recommend this activity. It was a privilege to watch the children sharing representations of love with each other in such an open way. I should have skipped our last parachute song because we were over time and I could sense that the crowd was nearing its endpoint. It was also a rocky transition to get the kids off of the parachute and to pick it back up to pass around in a circle for “Wheels in the City”. Lesson learned! 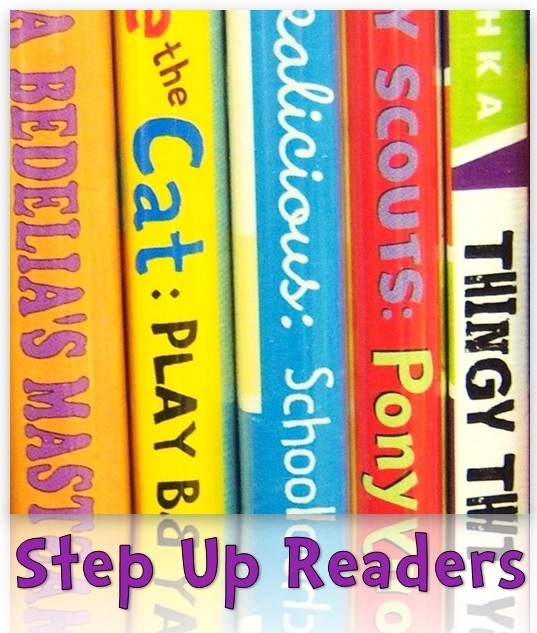 A book guaranteed to get kids up, moving, and laughing. I loved watching all of my friends trying to get that pesky bug out of their shirts. Today was a day off of school for some of our districts, so I had more preschoolers and kindergarteners than usual which was great because they understood the humor! Our first three songs were: “Jump Up! (It’s a Good Day)” that has instructions in the music, “Dance With Me” which we did as a free dance, and “At the Bottom of the Sea” where we pretended to be swimming in the ocean. Today’s activity songs were: “Up & Down” where we practiced waving our ribbons up and down, “De Colores” where we wave our scarves around, and “There’s a Little Wheel a’Turning in My Heart” where we turned our scarves around for the wheel. There is something about “There’s a Little Wheel a’Turning in My Heart” that really gets me choked up. I have to actively avoid thinking about what I’m saying when I’m leading the group in the song! The kids LOVED swimming in the room. I had such enthusiastic friends during that number! And excellent jumpers during “Jump Up! (It’s a Good Day)”. I snatched this book off of the new books cart and immediately set it aside for today’s Shake, Shimmy, & Dance program. I love the opportunities for movement and interactivity that this book allows. The kids had a great time playing along with me and also really enjoyed the fact that they were the FIRST people to ever read this book! We did free dance for our first song “Great Day”, and then followed the instructions during “Bouncing, Hopping, Jumping”. During “Rocketship Run”, we pretended to be rocketships and the kids really enjoyed when their grown-ups lifted them up in the air. Then it was time for our scarf songs. We practiced waving hello and goodbye with our scarves during “Hello, Goodbye”. We twisted with our scarves during the “Suzuki Twist”. And then we made butterfly by pinching the middle of our scarves to make butterflies during “Butterfly”. My grown-ups LOVED the Beatles cover by Caspar Babypants. Seriously, it was like Beatles fever all over again. “Butterfly” worked really well as a cool-down, lots of kids landed their butterflies on each other which was really sweet. And I think “Bouncing, Hopping, Jumping” will become a Jim Gill standard!